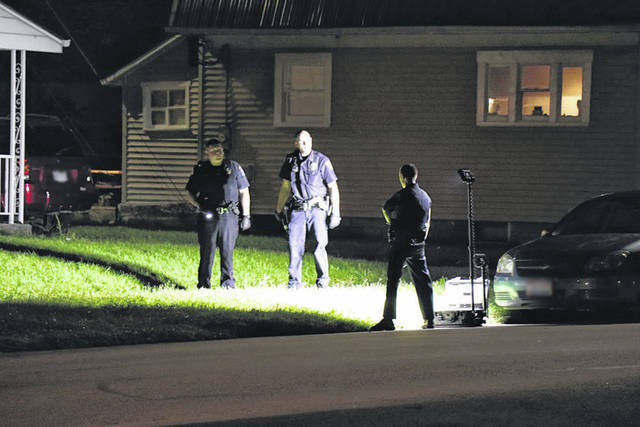 GREENVILLE — Police officers are continuing to investigate an incident in which gunshots were reportedly fired Wednesday night in Greenville. At approximately 11:40 p.m., officers were dispatched to the 200 block of Anderson Avenue in reference to a report of shots fired. It was determined a man at the scene had witnessed subjects tampering with his vehicle which was parked on the roadway. The male subject then chased the tampering suspects to the 200 block of Riffle Avenue where an altercation occurred. At least one round was reportedly fired from a handgun. Greenville Police reportedly have a person of interest in custody whom they were questioning. The identities of all those involved in the incident have not been confirmed by law enforcement officials.